Would you rather hear a story or read a story? Millions of readers are choosing audio books over eBooks and some choosing audio books over paper back or hard cover. 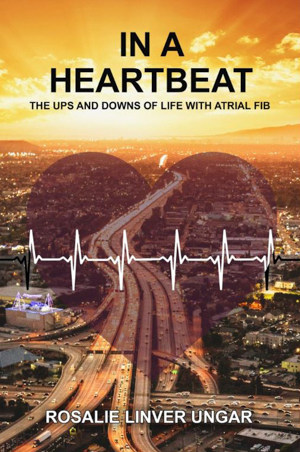 IN A HEARTBEAT, my memoir about thriving and surviving with atrial fib, will be available in audio book very soon on iTunes, Audible.com and Amazon. Easily available on smart phones and tablets, it is read by a professional narrator and for my readers who, for health reasons, prefer listening, or those on a long commute, stuck in a waiting room or on the treadmill, it can make every minute count. Some readers have the same audio book on more than one device syncing their place in the story on all devices in case they are listening in different locations. Many choices. I used to get ‘books on tape’ for listening in the car on road trips or work trips. A few years later as cars dispensed with audio tape equipment, cars came with CD equipment and audio books were on CDs or for CD players, another device that required a bulky player and the CD. Then came the smart phone. According to the Association of American Publishers audio is the fastest growing format for books, generating over $600 million in sales last year. The numbers of people owning smart phones is staggering. Members of my family have become audio book addicted, listening to 2 or more books a week. I’ve even heard from publishers who only read by listening to audio books. It’s faster, convenient and makes learning easier. I’ll let you know more when IN A HEARTBEAT: The Ups and Downs of Life with Atrial Fib is in audiobook. It sounds like an adventure story. It is an adventure story. This entry was posted in Blog on September 4, 2017 by Mark Layman.